Is your online training content ready to go global? When developing online training material, it is important to plan ahead and create a realistic budget. It’s best to design the online training content in such a way that it’s easier to adopt localized versions. A little organization and research beforehand can go a long way and make online training globalization a much smoother process. Let’s take a closer look at the following 6 steps to globalizing online training content. A summary of all you need to know in order to develop online training content for a global audience. Before globalizing online training content, the first thing you need to do is define your globalization strategy. You must decide which online training content needs to be globalized based on employees’ needs and organizational objectives. Clear organizational goals will allow you to do this. You most likely have already set performance outcomes that you are looking to achieve. If not, then this is the time to define them. Once you have your goals set, you can look at the online training content and evaluate which resources will help the L&D team achieve them. The process of globalizing online training content isn’t as easy as just translating the online training content. Τhere is a lot more that goes into it. Thus, it is important that you pick and choose online training content to maximize your budget and focus team efforts. You need a well-rounded toolbox to globalize online training content. This includes an LMS, eLearning authoring tools, and a Project Management platform to enhance online collaboration. The LMS should support multiple languages and, preferably, have geolocation features. If your current software is falling short, consider testing out new LMS platforms through free trials and demos. You can also ask other eLearning professionals which tools they recommend to gain valuable insight. As you decide on the content that is relevant for online training globalization, you’ll also want to consult with a Subject Matter Expert. Most of your online training is already designed with the help of a Subject Matter Expert. However, you want to make sure that the online training content you have selected to globalize is relevant and region-neutral so that it can be used on a global scale. As such, consulting with a Subject Matter Expert throughout the process is important to ensure that online training remains effective and resonates with your worldwide workforce. You also need to consider the different languages your online training course must support. If your organization is multinational, then you may have to translate it into more than one language. However, once you make the online training content itself culturally neutral, the process of translation gets much simpler, since you won't have to keep going back to it to ensure the context is relevant to the various cultures you’re catering to. Taking these steps will allow the eLearning localization team to work in harmony as they know how to accurately portray your brand and how to fulfill their job duties. Online training globalization doesn’t end when you deploy the online training content. In fact, continually monitoring employee progress and maintaining your online training resources involves a significant amount of time and effort. Evaluate LMS reports to determine if your online training content is achieving the desired results in each market. You should also conduct online surveys and questionnaires to get employee input. They’ll be able to tell you if the translated version of the online training course is up to par or if there’s room for improvement. Focus groups are another great way to collect feedback and actionable data. For example, employees reveal that the translated voice overs are difficult to understand or that they cannot listen to the online training content during office hours without disturbing their co-workers. Thus, you may want to include subtitles, which also makes the online training content easily accessible for learners with special needs. You can save a lot of time and money if you develop online training that is culturally neutral from the start. But that doesn’t mean you can’t globalize online training that you have already created. 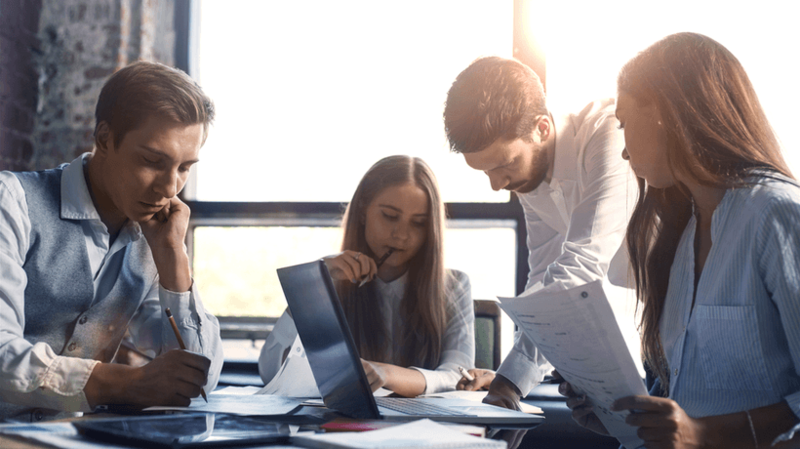 The right tools can help you centralize your online training resources and develop templates that each eLearning localization team can use independently. It’s also wise to invest in Project Management tools so that everyone can communicate with ease, as well as provide feedback and highlight areas for improvement for the overall online training strategy. Are you ready to expand your online training program on a global scale? 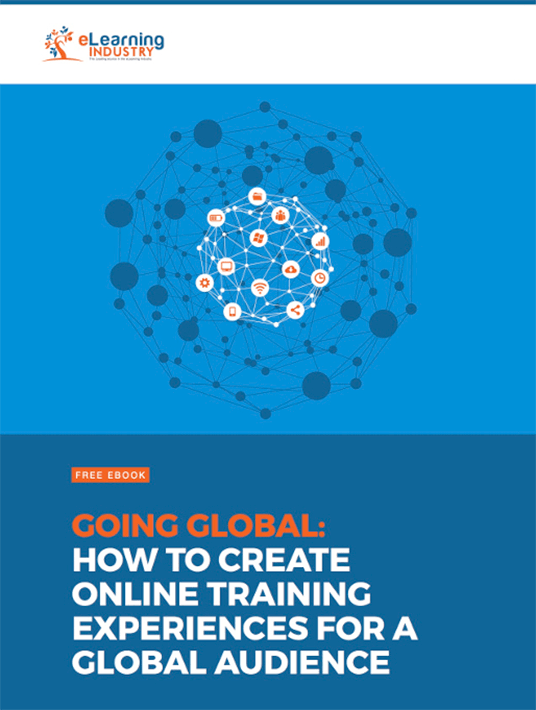 Download our free eBook Going Global: How To Create Online Training Experiences For A Worldwide Audience to discover the unexpected benefits of globalizing online training and the most common costs to consider. You will also learn how to hire the best eLearning translators and avoid the major pitfalls of online training globalization.